Time to venture into the new city across the Golden Horn. 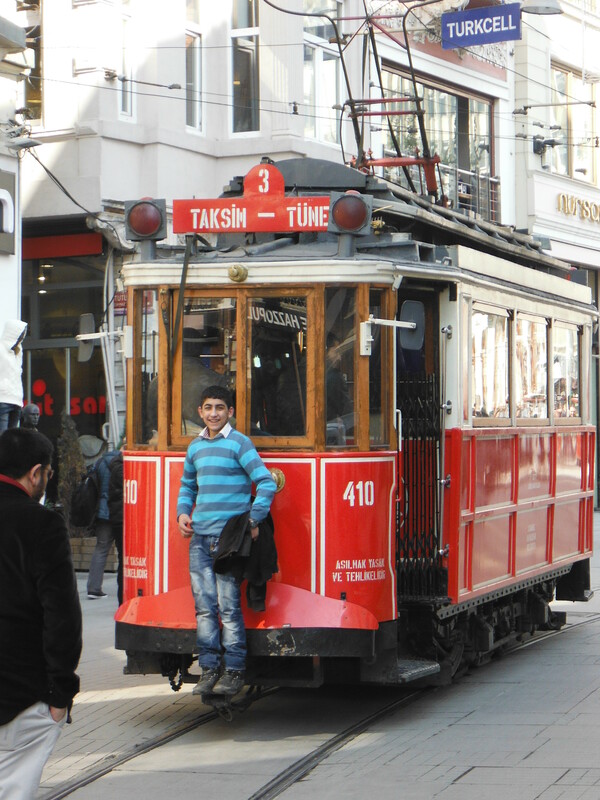 We took the tram and then the furnicular to Taksim Square. 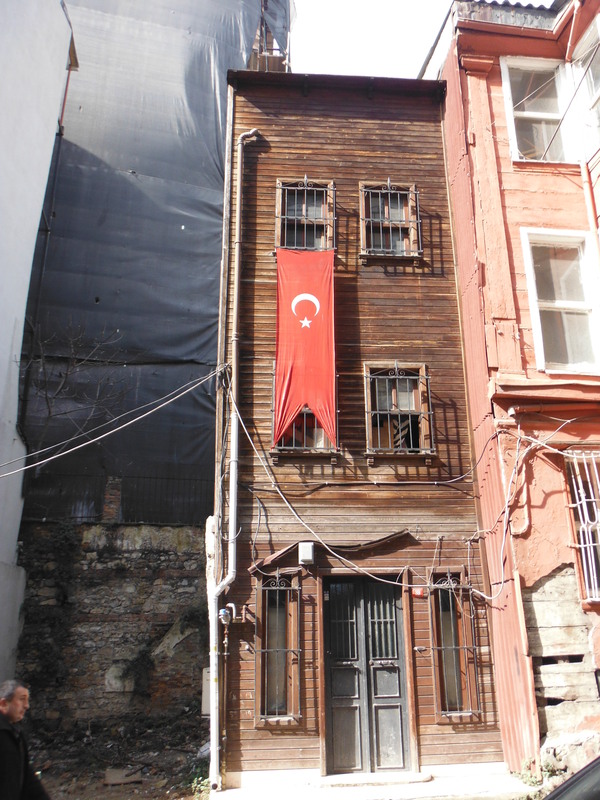 From there we walked down Istiklal Caddesi – the shopping street that one sees in every large city. Though this one has a vintage tram line down the centre (see left). 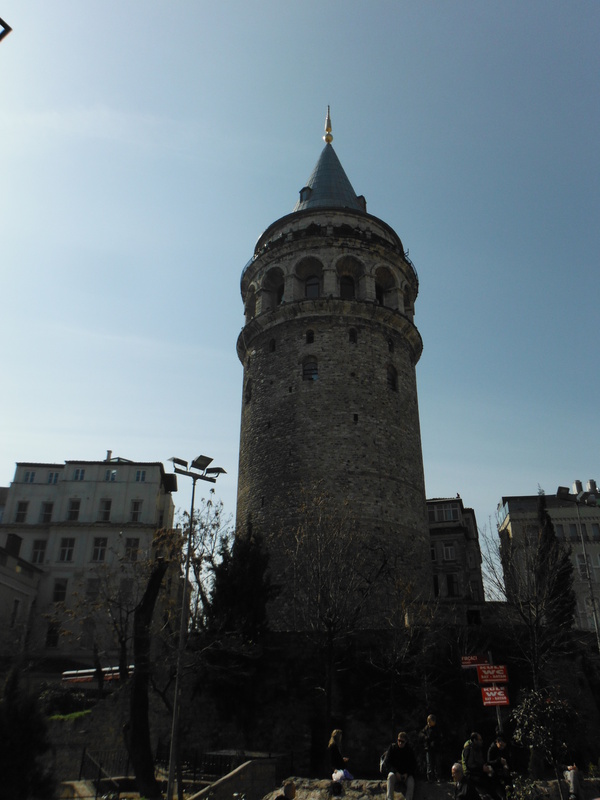 Essentially at the end of Istiklal Caddesi one finds the key landmark for this part of the city (short of mosques as it is); namely, the Galata Tower. It dominates the skyline and offers a decent view of the city. My guide says that the entry fee is extortionate. The area has many side roads with antique shops of the unkempt variety. There are also so examples of wooden houses, many in a state of disrepair, though some are receiving some attention as in this fine example on the left. We then walked back into the old city across the Galata Bridge which takes the metro and the road. There are some cafes built into the structure; we were hungry so risked one of them. Not really recommended. At the road level, men fish off the bridge. Once across we found ourselves once again passing through a bazaar of sorts. Literally hundreds of small shops, largely doing textiles and homewares. Astonishing. 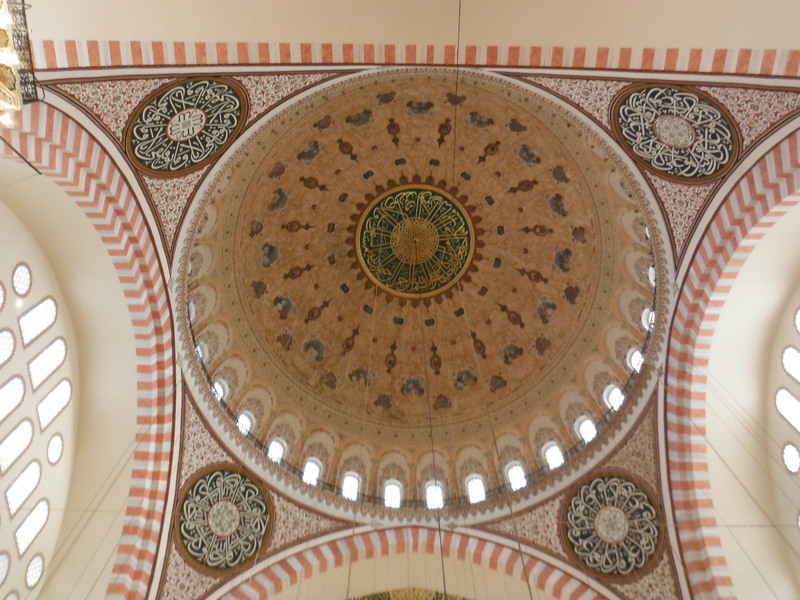 The up to the Süleymaniye Mosque. Clearly a lot of work has been done on this building. It is stunning both inside and out. 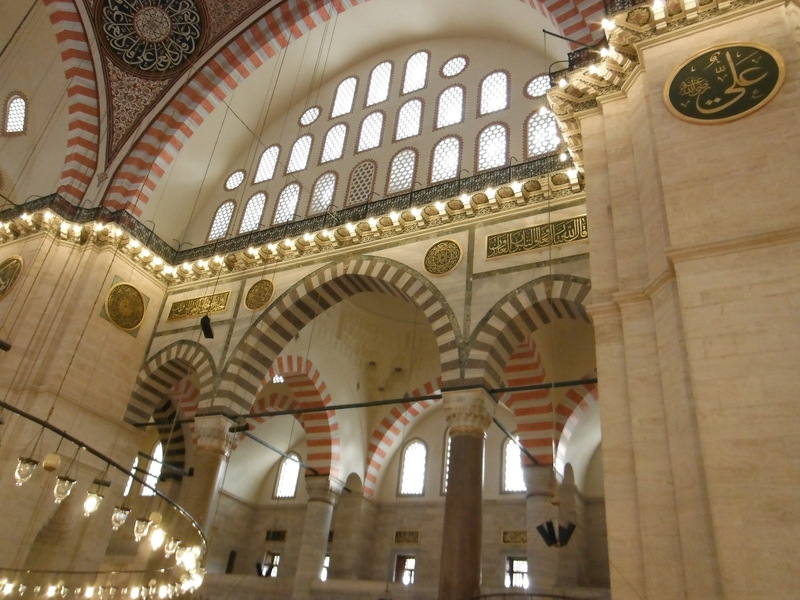 It was another feat of engineering comissioned to challenge the magnificence of the Hagia Sofia. I offer a couple of pictures to illustrate the grandeur, but it needs a better snapper of photos than me to capture the true magnificence of the interior particularly.